Convertible tablets aren’t a new idea, but on the Yoga, the hinges are designed to be sturdier than the swivels used in the past. When it’s flipped and used as a tablet, the keyboard deactivates, so it can be placed on a flat surface or used on the go without worrying about hitting a key. The palm rest has a leathery surface so it can rest firmly and easily while being used as a tablet, and the whole device has a rubbery coating for durability. The device is.67 inchesthick, weighs3.1 poundsand has a13.3 inchscreen, with a battery life of up to 8 hours. It will come with as much as 256 GB of SSD and 8GB of RAM. It’s expected to start around US$1,199 sometime in the second half of 2012. 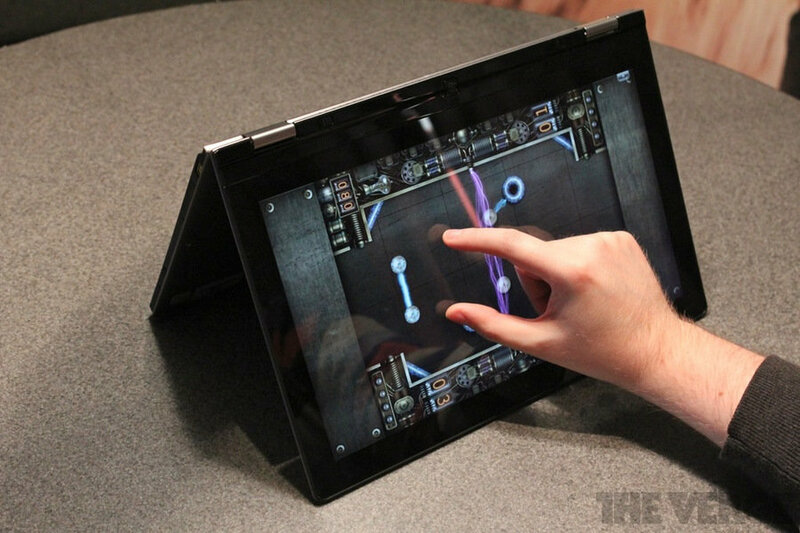 The dual functions of Lenovo’s Yoga could be a step toward merging laptop and tablet use. Users are becoming increasingly drawn to the mobility and ease of tablet products but in general have stuck with the laptop for business purposes. The consumer device market is a crowded one, and hybrid products probably won’t be an exception to that rule. 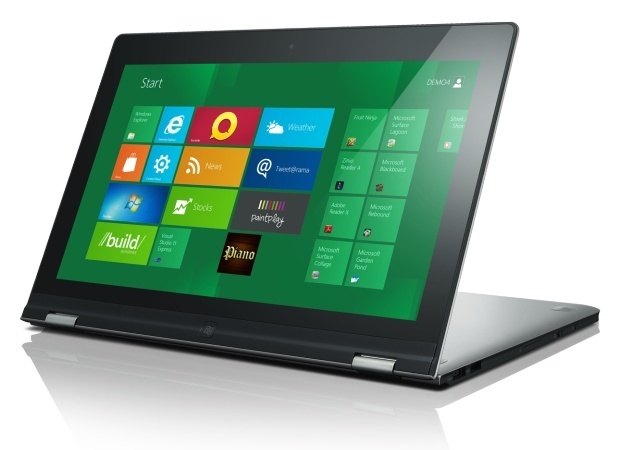 Lenovo’s Yoga could have a competitive advantage by running on Windows 8, though. Although the iPad is a leader in its market, Apple (Nasdaq: AAPL) and iOS is still off-putting to some users, so Microsoft’s (Nasdaq: MSFT) system on a fully functional machine could appeal to some of those users. At a lofty $1,200, Lenovo has its work cut out for it in marketing the product to a down economy. Posted on March 2, 2012, in Gadgets_ Tablet and tagged Gadget, Lenovo, Lenovo Yoga, palm rest, technology. Bookmark the permalink. 2 Comments. Thanks for your service, the product is handy and she can handle in her palm and chat vth friends easily and even on driving also.